Hotel ibis budget Munich Garching. Book now! Free Wifi! 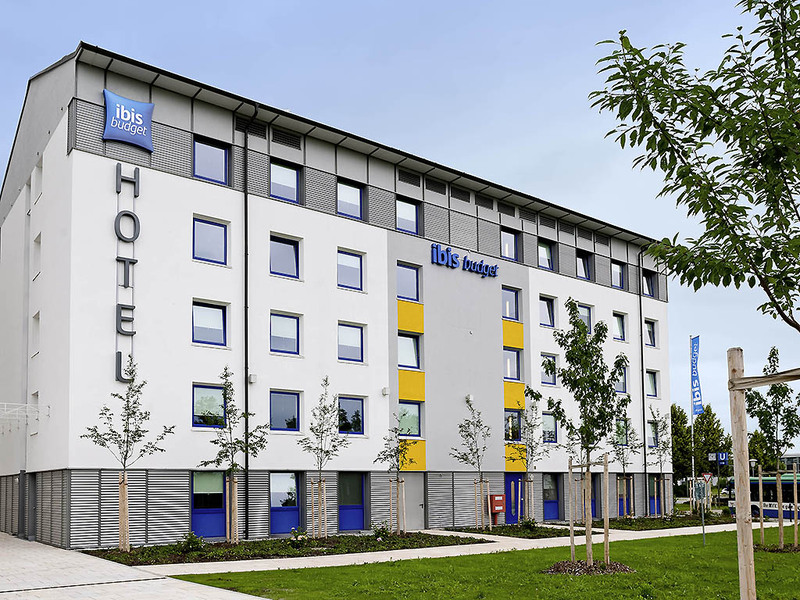 The ibis budget München Nord Garching is situated 15 minutes from the city centre, and is easily accessible via the A9 motorway close by and the Garching-Hochbrück underground station next to the hotel. Free parking facilities are available 50 m from the building. The hotel has 85 modern rooms, each providing accommodation for up to two adults and one child below the age of 12. Make use of our Wi-Fi access free of charge and start the day by enjoying our breakfast buffet. It's a functional hotel that allows you to get a good night sleep in clean room. It's simple but very functional. As I said overall everything was ok. A single drawback in my opinion: the washed towels have a slight unpleasant smell of vinegar or something. It'd be better to change the washing powder you use or add some kind of perfume. We had a pleasant stay, smart beds we were 3 persons per room. There was a smell in the toilet, otherwise everything else was working very well for the Price. New the &quot;budget&quot; hotels before; payed budget, got budget. All fine. nice and clean the only thing inconvenient for us was the check in but we should have do the check in in advance and everything would be ok.
At the desk the personal was unpolite. To get a parking number one must first park in a forbidden zone and only then one gets an entry. The heating didn't work. All was ok. Just the wifi kept nagging that I had some limited time left. Why do we need that? It is ok that free wifi is slow (not ok, but I accept), but threatening to cut wifi completely is not ok. You should not advertise to have free wifi if it is for a limited time duration! You need to change carpets and repaint walls inside rooms. Breakfast is overpriced. Need to have more different ingridients. more fruit. Overall the hotel meets the expectations, given that it is a budget hotel. The room was comfortable enough, also the breakfast is perfectly fine. The main complaint I have is regarding the manager. I had a specific problem with him when asking for the bill. My husband and I are both scientists, and travelled to Garching for a scientific collaboration with people there. So, we both needed separate bills to present to our Institutes for the reimbursement. We have travelled several times together, both in Germany and to other countries, and we have never had a problem when asking for two separate bills. The manager of this hotel refused to give us separate bills stating that this is not possible because this is not how &quot;his&quot; hotel works (a budget hotel). I then asked him if he can give me a document, or something stating the total amount for just one person for the entire stay and he also said this is not possible. He had 0 empathy or will to help us out. I don't think he was actually listening to what I was asking him. So now, I will have to explain to the Institute where I work this entire situation and see how me and my husband get our reimbursement. We also witnessed this same man shout to another guest at the hotel during breakfast, when the guest was complaining that there were some &quot;chunks&quot; (pieces) of something floating in the boiled water. I think the kettle was dirty. I don't think a person like him should work around people. If I have to go back to Garching for more collaborations I will definitely not stay at this hotel again. Wifi did not work at all at the hotel. Even my mobile phone was not working properly (whatup, instagram or other equivalent) although I had roaming on. There were a lot of people in front of the hotel drinking and smoking during the late afternoons and evenings and going back for more beer. This was the case during my whole stay (22.-26.10.2018). Quite inconvenient! The breakfast was pretty good, although some variation would be nice. The fruit were always finished when I came to breakfast at 7.45. I only saw some people still eating their bananas and apples. Good that the front door was locked during the night time as there was nobody in the reception. Easy check-in, tasty brekfast, very helpfull staff. Very good connection with Garching Forshnungzentrum and Munich. I check in online and pay it but somehow the hotel tell me they have not received the money. but actually the payment is successful. The hotel only tell me pay or leave. So I paid it again.It really bad experience for the attitude.